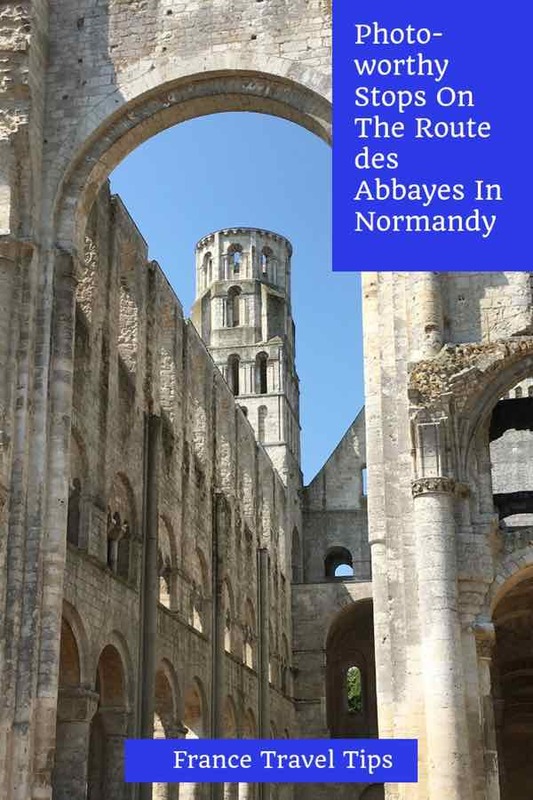 Throughout France, there are hundreds of abbeys, communities where monks lived and worked, and if you’re traveling between Étretat and Paris, primarily along the Seine River, you might consider taking the Route des Abbayes In Normandy, where you will see not only some famous abbeys but also some pretty spectacular ruins. 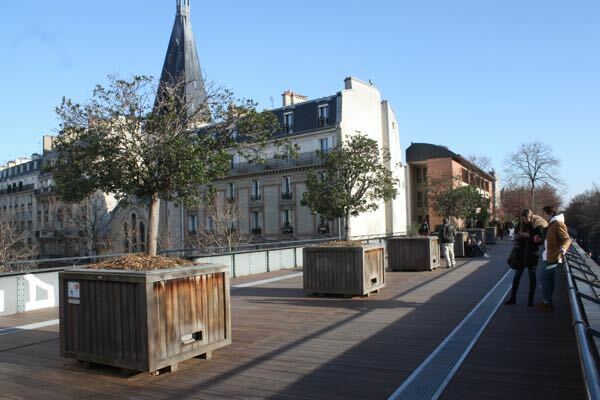 The Seine River doesn’t just run through Paris. It’s a 777km river that flows from the northwest of Dijon, through Paris, to the English Channel at Le Havre and Honfleur, Normandy. Your photo journey can begin in Lilleborne. There isn’t a Norman abbey there but rather ruins from Roman times. 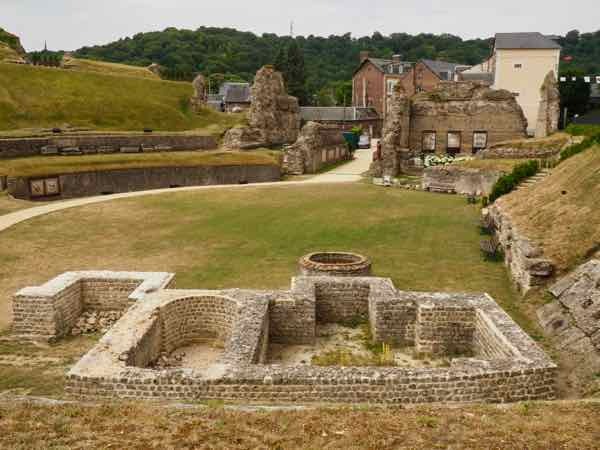 Just 37 km SE of Etretat is the small town of Lillebonne which has an impressive Roman amphitheater at the center of town. It was built in the 1st century and much of the Roman stonework can still be seen. It’s free to enter and in the summertime, there are sometimes live events. Continue along D81 eastward to Caudebec-en-Caux where the enormous Cathedral, Eglise Notre Dame lies in the historic center of the town. The interior of this 15th-century church is what Henry IV supposedly called “the most beautiful chapel in the Kingdom”. The stone carvings are ornate and the stained glass windows are impressive as well. Also in this town is the Maison des Templiers, one of the oldest houses in Normandy built in the 13th century, and the prison from the 14 century which is still intact. Driving west along D982 and the Seine River, you will head north to the town of Saint-Wandrille-Rançon. 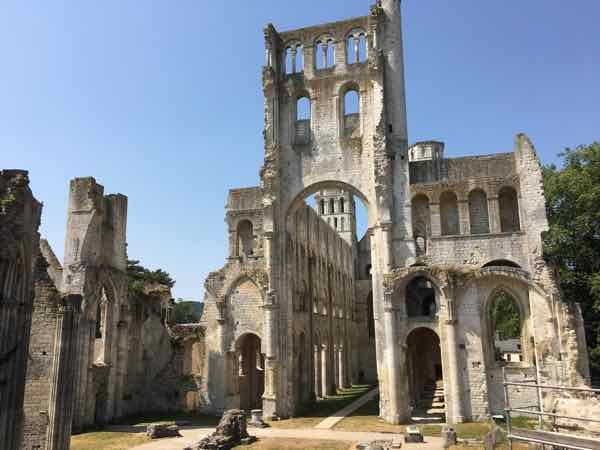 It is known for the Abbaye which is a Benedictine monastery founded in 649 where today, the monks continue to live and pray. 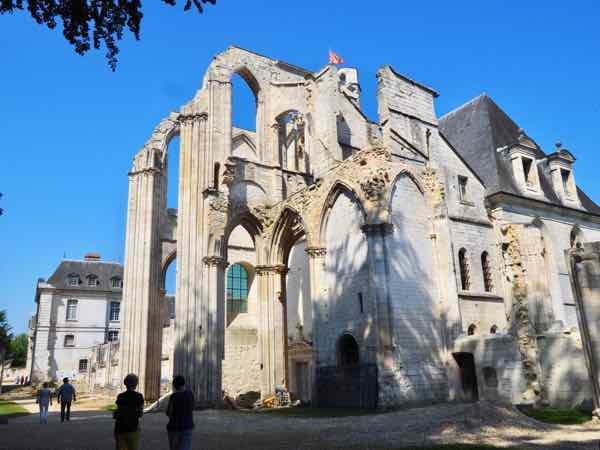 It is also known as Fontenelle Abbey and has many buildings which were damaged by World War II bombings. 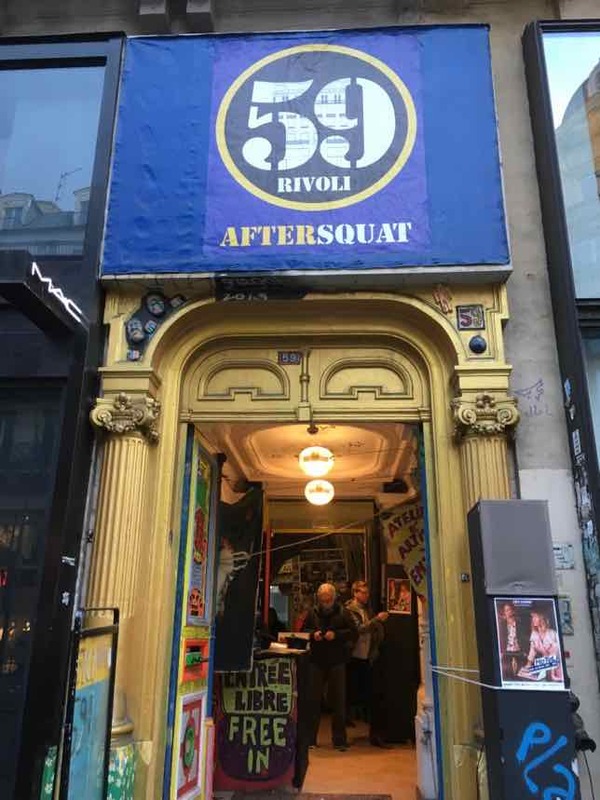 Today, it is under renovation but definitely worth visiting. The cloisters, in particular, stand out. If you’re looking for a unique gift, consider visiting the gift shop which sells monastic beer. Continue following along the Seine on D982 and 14 km south is the town of Jumièges. 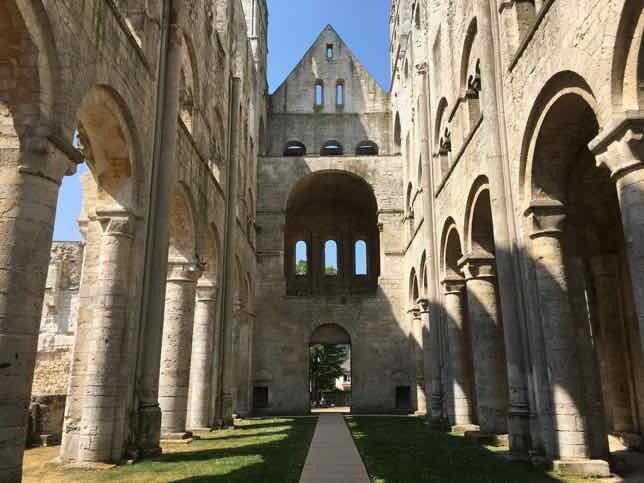 The Abbey de Jumièges is one of the most stunning ruins in Normandy, if not in France. It was founded in 654 by Saint Philibert and prospered until the 9th century when the Vikings destroyed it. 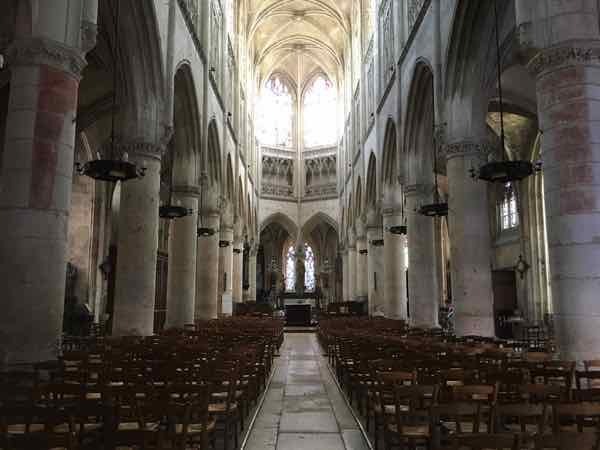 The church was rebuilt in the 10th century and through the ages was expanded, renovated, and destroyed through many raids and wars and the French Revolution. What remains are the walls and parts of the gothic church, towers, and cloister. The 500-year-old yew tree in the middle of the cloister still remains. Chairs are scattered throughout the idyllic grounds of green parkland. It’s an entirely open-air, peaceful site where you wander the grounds or sit to enjoy the landscape. As you continue along D982 for 9 km you will reach Saint-Martin-de-Boscherville. 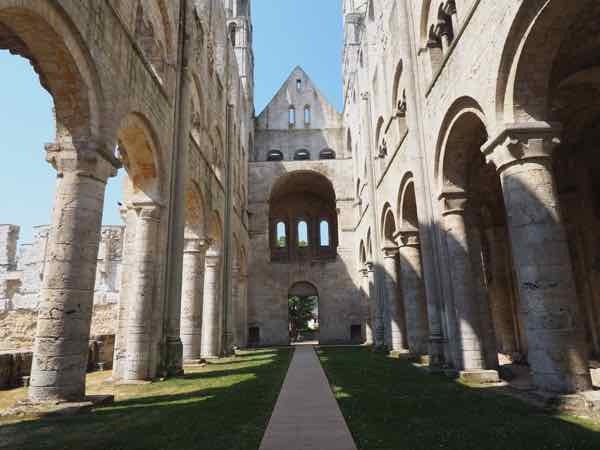 This former Benedictine abbey was founded in 1113. The Parish church was made from unpainted limestone but what is most impressive are the gardens which have terraces. There are also well-maintained orchards with fruits, vegetables, flowers throughout as well as a herb garden. 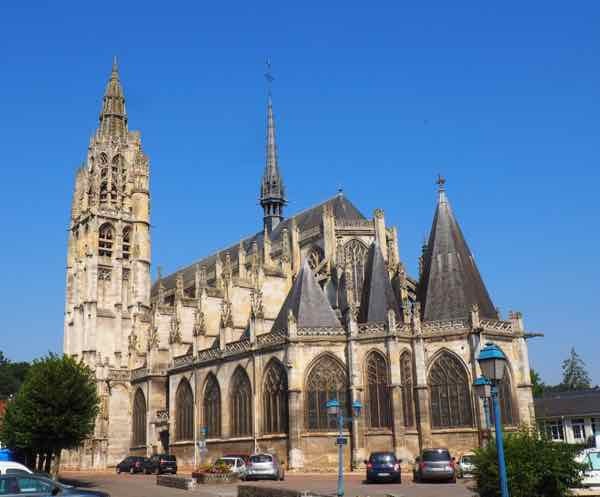 As you head southeast, passing through the town of Rouen (which you should visit), and 75 kilometers from Abbaye Saint Georges de Boscherville, you will come upon the town of Les Andelys. It’s a popular stop on river cruises, but it’s the château, perched 300 feet on a hill that is the attraction. The construction of Château Gaillard began in 1196 under the patronage of Richard the Lionheart, who was also King of England. But the King of France, Phillip II captured it in 1204 and after countless sieges, it changed hands many times. It wasn’t until 1599 that Henry IV of France ordered it demolished. It was a great fortress that has an imposing presence overlooking the Seine river. It is a short but steep hike from town, but even better is to head to the car park above the chateau and from there you can get an excellent vista. So if you’re traveling between Paris and Étretat, don’t take the fast route (the A13 autoroute) but rather, consider the Route des Abbayes in Normandy. You’ll profit from the photo-worthy sites and have a much more enjoyable time. 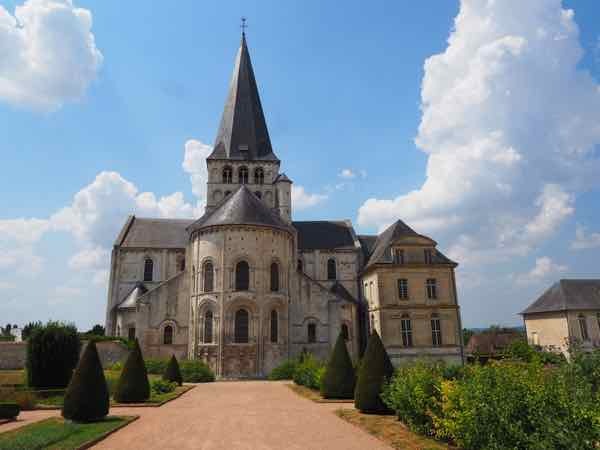 I’ve been to the Abbaye de Jumièges and it is definitely worth a stop. So beautiful! 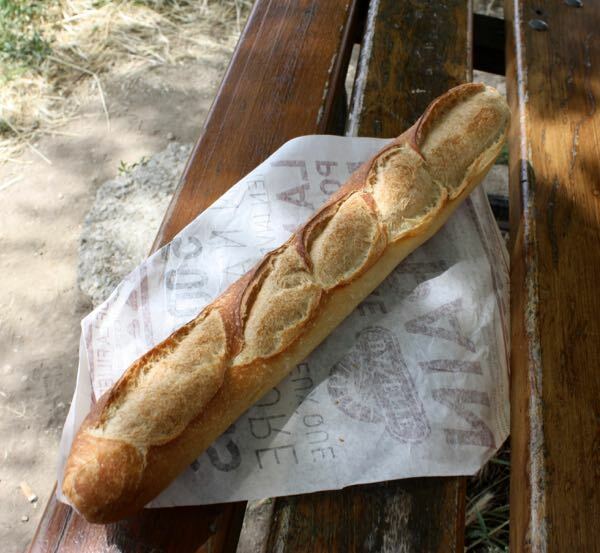 I’ll have to check out some of the others the next time I’m in Normandy.